Our customer asked us to help them design an automated transit mixer cleaning system. Certain building regulations require cement suppliers to clean the inside of the transit mixer drums between every load. The drivers currently take 15 to 20 minutes to do this. Our customer had a better idea. Their system would require less than 5 minutes, clean the drum more thoroughly, and help the cement plant deliver more concrete. 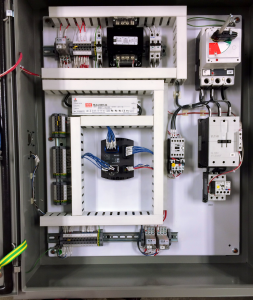 They chose to collaborate with Scott Industrial Systems to design and assemble an effective and safe solution. 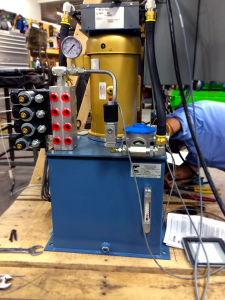 In order to meet the requirements, we specified components that have proven to be durable in mobile hydraulic applications as opposed to components found in more controlled industrial applications. This system is going to get wet, cold, hot, and dirty. 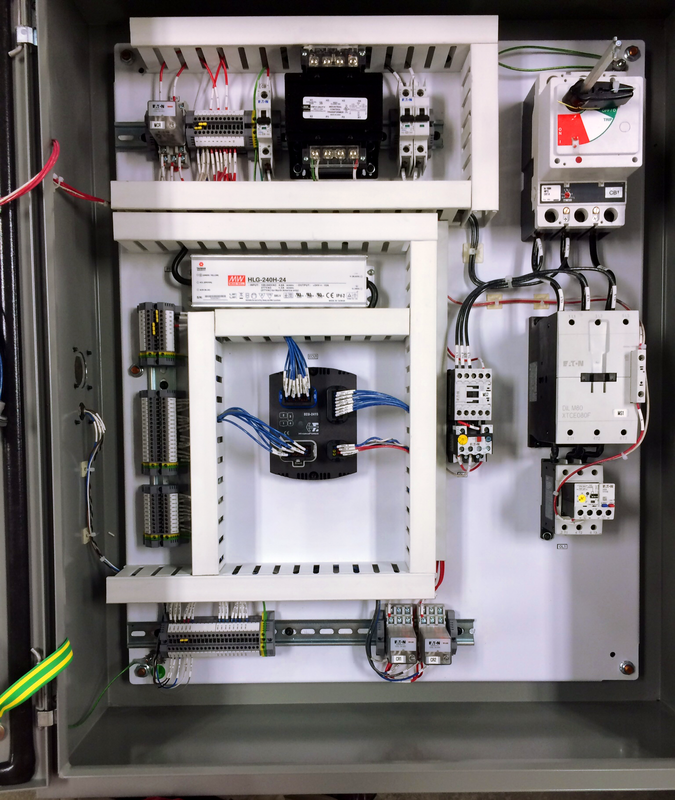 We specified a Hydraforce electronic control module rated to handle temperatures from -40F to +158F as the heart of our design. We chose a Joral Absolute Linear Encoder to keep track of the boom position. It’s rated to IP69k water and dust protection. It even counts position if there’s no power. The operator station uses rugged GS Global Resources joysticks rated to IP67 water and dust protection. The resulting system is capable of blasting residue off the inside of transit mixers at high pressure in a safe and consistent way. Founded in 1948, Scott has grown as experts in fluid power. We offer design and assembly services as well as training to help customers maintain optimal equipment performance. To learn more about Scott Industrial Systems’ Value Add Services, visit http://www.scottindustrialsystems.com/service/. To discuss our efficient and collaborative approach to your project, call 937-233-8146 or e-mail us at [email protected]. Project Update: Our customer’s website has gone live! 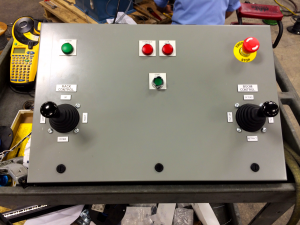 This entry was posted in Hydraulics, Projects, Scott Industrial Systems and tagged cement mixer, cement truck, concrete mixer, concrete truck, electronic controls, Hydraulics, Scott Industrial Systems, transit mixer. Bookmark the permalink.